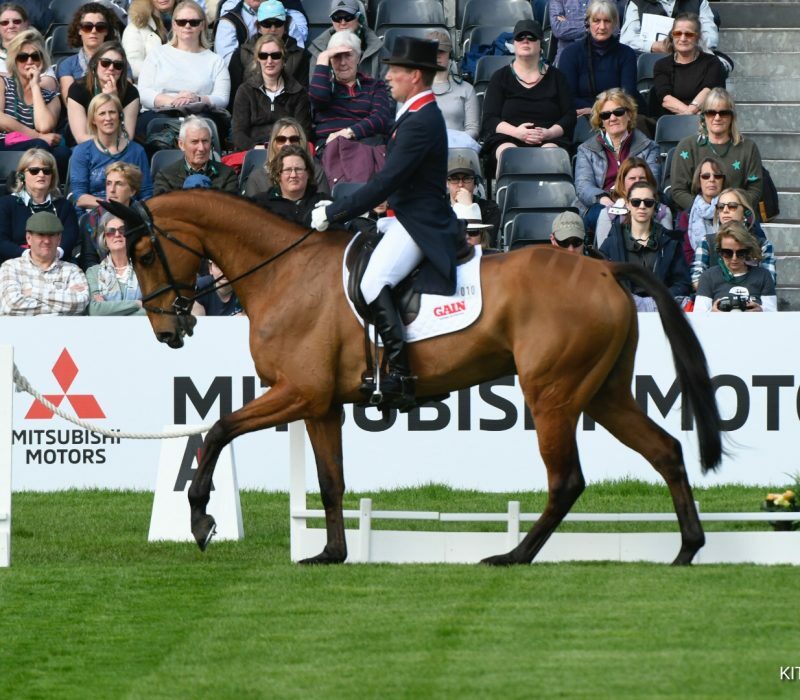 Oliver Townend leads the field at the end of the Thursday morning session of dressage at the Mitsubishi Motors Badminton Horse Trials. The new World No.1 (FEI rankings 2 May) conjured an expressive, accurate test from Angela Hislop’s Cooley SRS that earned him a mark of 25.9. It was just the start Oliver would have wished for as he bids to write his name in the history books and land the coveted Rolex Grand Slam. Having won Burghley last year and taken last week’s Kentucky Three-Day Event in a thrilling finale on Cooley Master Class, it means that the 36-year-old Yorkshireman has already won two of the three consecutive titles needed to take the valuable accumulator. But he was quick to play down the added pressure. Oliver goes again tomorrow on his Burghley winner, Ballaghmor Class. This morning’s session was packed full of past winners and live contenders. Gemma Tattersall, third here in 2016 on Arctic Soul, is currently lying in second place with Clive Smith’s Pamero 4. Their test, which earned them 27.4, was littered with 8s and 9s, but also a smattering of 3s and 4s. “I can count on one hand the number of tests I’ve done on him in an international arena, so that’s why a few mistakes crept in,” she explained. Mark Todd (Leonidas II) sits in third place on 27.9, while last year’s winners, Andrew Nicholson and Nereo, currently occupy ninth spot on 30.3. This afternoon all eyes will be on Germany’s superstar partnership, Michael Jung and La Biosthetique Sam FBW, who are due into the arena at 2.32pm.